The service is intended to run high-resolution, blockbuster games on any device that runs Google's Chrome — from smartphones to computers to TVs and tablets. Those plans start with a new service named Stadia (pronounced "STAY-dee-uh"), which Google CEO Sundar Pichai says will offer blockbuster games on any device that can run the Chrome web browser — everything from smartphones to tablets to laptops and TVs. The pitch is simple: If you've got a Chromecast, or an iPhone, or whatever device you're reading this on, you could potentially run Stadia. What Netflix-like services did for TV and film, Stadia promises for video games. It's an ambitious concept that pits Google against the likes of Microsoft, Sony, and Nintendo, and it could potentially upend the way people buy and play video games. 1. Stadia is a cloud-based video game streaming service. You don't need to buy a game console. Unlike Microsoft's Xbox and Sony's PlayStation and Nintendo's Switch, Google is promising no additional hardware required with Stadia. "At launch, we'll support being able to play games across desktops, laptops, TV, tablets, and phones. 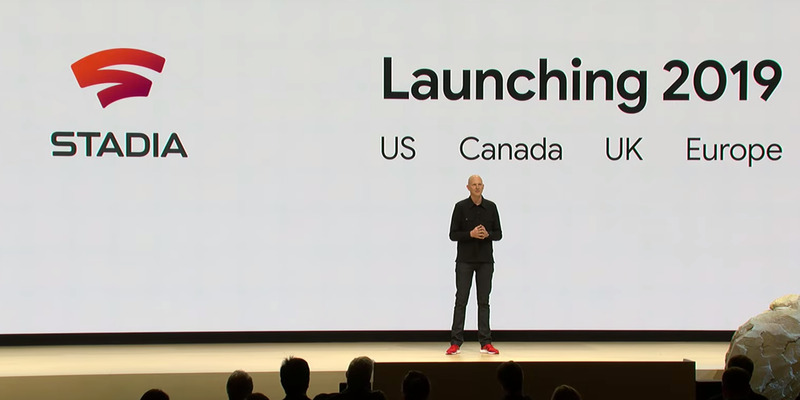 This new generation of gaming is not a box," Google vice president Phil Harrison said on Tuesday. Instead, processing is handled "in the cloud" — by Google's hardware in a data center — which is then streamed to you instantly. Your inputs are then instantly beamed back to the computer elsewhere. This is an oversimplification of what is assuredly a deeply complicated process, but it's similar to how Netflix works: Instead of having to run physical media, it's simply streamed to wherever you're watching it. 2. Stadia promises a single ecosystem for gaming across all devices. Google is aiming high with Stadia — the ability to take your games and your game saves with you to any device. Regardless of where you access the service, you'll have access to the same games with the same controller (more on that in a moment). The very concept of stream-based gaming is an ambitious challenge to the current blockbuster video game market, which is dominated by physical game consoles and games sold piecemeal. Instead, Google is offering a service-based video game platform that goes where you are — like the music industry, the film industry, and the TV industry have already done. 3. There's a Stadia gamepad that's built by Google. 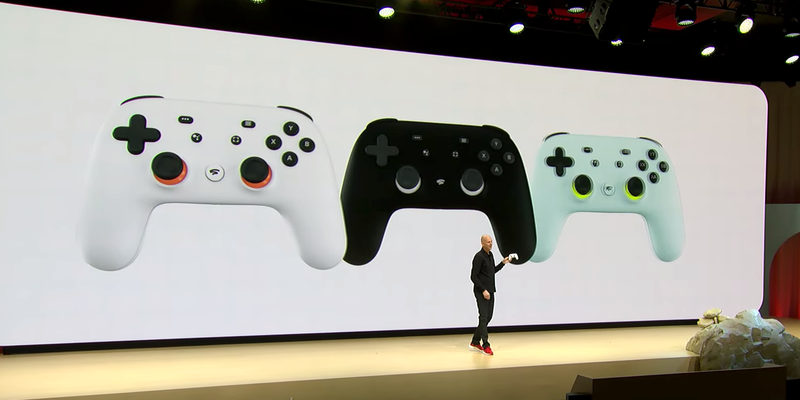 In many ways, the Stadia controller looks an awful lot like a hybrid of Xbox One gamepad (in shape and design) and the PlayStation 4 gamepad (in thumbstick layout). Functionally, it more or less is exactly that. But there's one major aspect of the gamepad that sets it apart: It's got WiFi. This may sound strange, but it connects the controller's inputs directly to the data center running the game. It's a simple solution, and enables the controller to be easily swapped between devices. 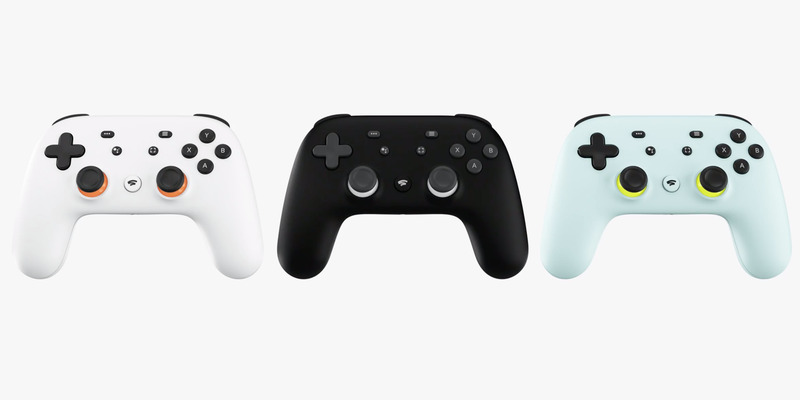 There are two other buttons on the Stadia controller that stand out: The capture button, which captures gameplay directly to YouTube, and the Google Assistant button, which activates Google Assistant. Perhaps you want help with a specific part of a game? Or need to suddenly know the weather in Tokyo? Solved! 4. Google's got some pretty hefty computing power backing up its platform. Whether the word "teraflops" means anything to you or you're laughing out loud at this silly new word, all you need to know is this: Stadia promises serious horsepower in the cloud. Google partnered with AMD to create a system that offers far greater horsepower than the most powerful modern video game consoles. Moreover, Google is promising that the service will stream games in 4K, at 60 frames-per-second, with surround sound. Again, this is on your phone. 5. 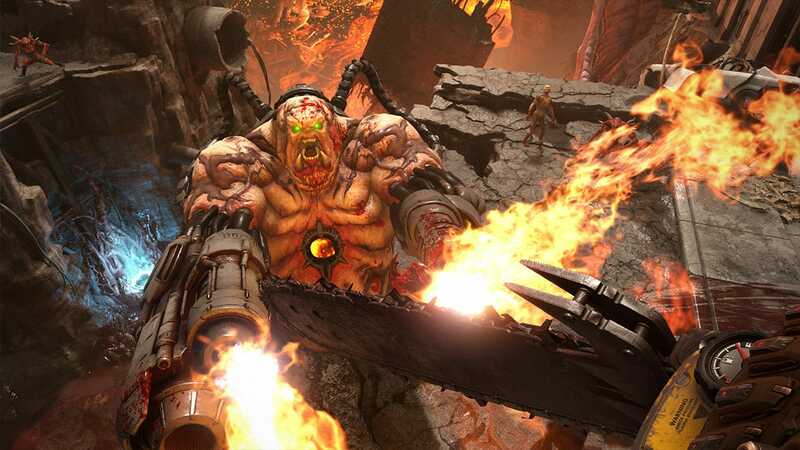 The next "Doom" game is coming to Stadia, and a handful of other important publishers offered support. Only a few games were teased during Google's press conference on Tuesday, but the one big standout was "Doom Eternal." It's the next major game in the classic "Doom" first-person shooter series, and it's particularly notable here because it's a pretty demanding game in terms of hardware. It's a series known for being tremendously fast, and its fans demand pixel-perfect control. In so many words, it's a great test case for what Google is promising: Lag-free video games over modern broadband connection speeds. "Doom" publisher Bethesda Softworks is clearly signaling at least some level of support for Stadia, and it's clear that "Assassin's Creed Odyssey" publisher Ubisoft is on board. Two other notable publishers had games in the keynote: "Final Fantasy" and "Tomb Raider" publisher Square Enix, and "NBA 2K" publisher Take-Two Interactive. 6. Google promises "No cheating, no hacking." Due to the structure of Stadia, Google promises that there's no way for cheaters to cheat, and no way for hackers to hack. That's because games will be stored and operated on Google's servers, thus cutting out the ability for players to inject code locally before playing online multiplayer. Whether this works remains to be seen: To paraphrase "Jurassic Park", cheaters find a way. 7. Google stuck a stake in the ground with cross-play: It's fully allowed, including for game saves. "As a new-generation game platform, Stadia will of course embrace full cross-platform play," Harrison said. "Developers will have the ability to enable cross-platform multiplayer for all players, and even bring games saves and progression across as well." That's an important move: The video game business has started to move toward the concept of multiplayer video games allowing players to play together across competing platforms. "Fortnite," for example, allows players on Xbox One and PlayStation 4 to play together — something that's essentially never happened before. 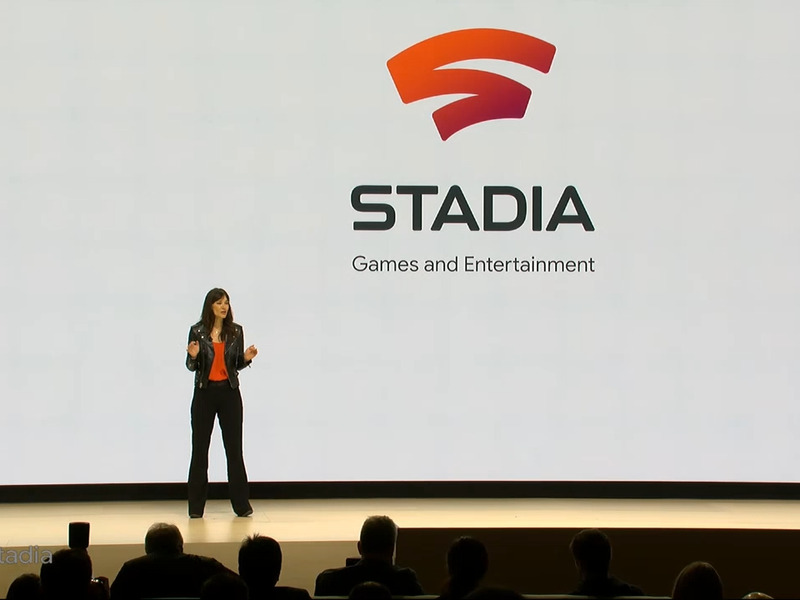 With Stadia, Google is supporting cross-platform multiplayer — as well as game saves and progress — right from launch. It's a smart, forward-looking move. 8. Stadia is scheduled to launch at some point in 2019, "starting with the US, Canada, the UK, and most of Europe." Google didn't announce a price or a specific release date or a list of launch games, but Harrison promised more info in the summer — a reference to the annual E3 video game trade show held in Los Angeles every June. 9. Google launched a first-party game development division headed by former Ubisoft executive Jade Raymond. More than just working with various game developers and publishers, Google has created its own game development division headed by veteran video game executive Jade Raymond. It's not clear exactly how large the studio will be, or how many projects it will work on, but Raymond is known for her work on huge franchises like "Assassin's Creed." This article was written by Ben Gilbert from Business Insider and was legally licensed through the NewsCred publisher network. Please direct all licensing questions to legal@newscred.com.